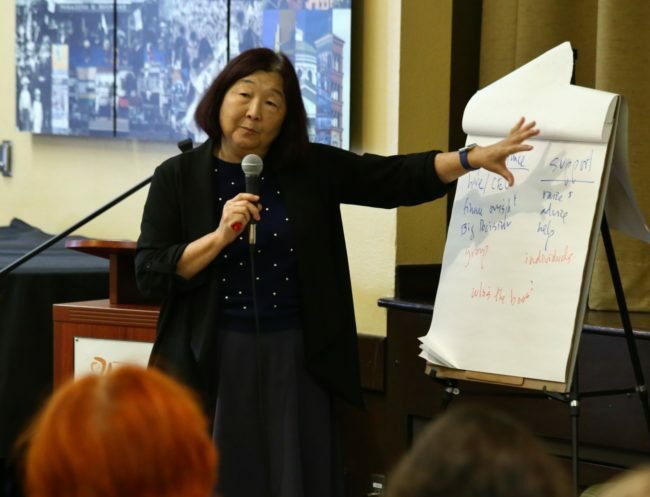 Pasadena, CA — Nov 9, 2018 — Jan Masaoka, Chief Executive Officer of the California Association of Nonprofits gave a thought-provoking and unconventional view of how to understand and lead effective boards today to 95 non-profit leaders at a special meeting of the Pasadena Executive Roundtable last week. The meeting was possible due to the generous support of the Pasadena Community Foundation and the Pasadena Senior Center. The bane of so many non-profits is Board recruitment. Jan advised the group to recruit Board members not for what or who they are but for what they can do. Every Board member should join the Board to fulfill a specific role aligned with his/her specific skills. “This event was possible only due to the generosity of the Pasadena Community Foundation who sponsored this event and to the Pasadena Senior Center for donating the Scott Pavilion as the venue,” according to Melanie Goodyear of Jericho Road. The Pasadena Executive Roundtable is an informal consortium of local nonprofit executive directors who meet to discuss leadership and management issues of common concern and hear presentations by speakers of interest. 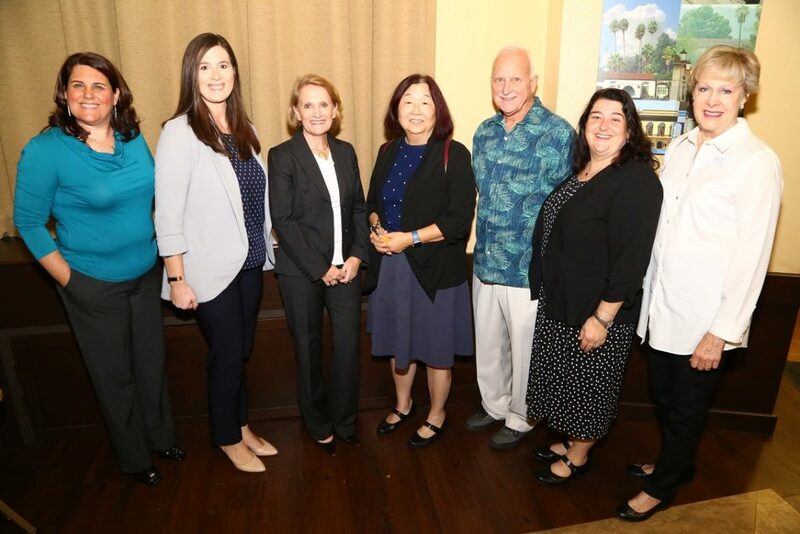 The Steering Committee is composed of Elizabeth Dever, Pasadena Ronald McDonald House; Melanie Goodyear, Jericho Road; Rebecca Mitchell, Hoving Home; Cindy Bengtson, Leadership Pasadena; and Tim Mayworm, Journey House.